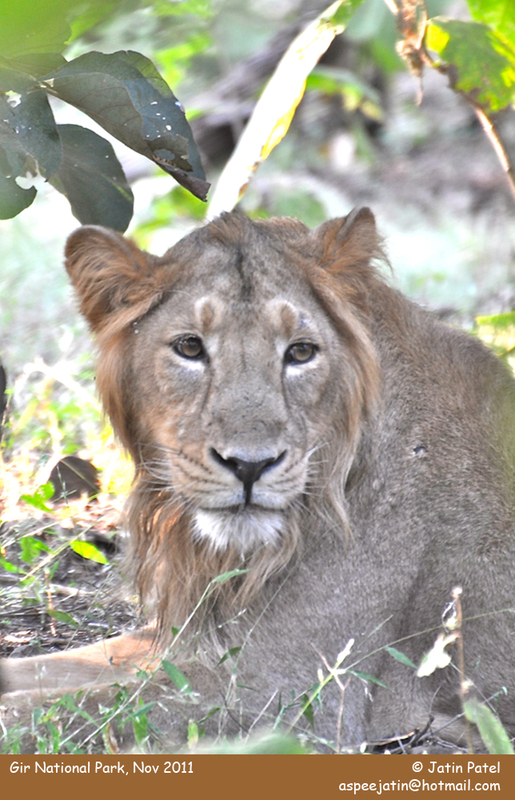 Photo Description: Sasan gir national park is the only abode of the asiatic lions! here we see the male lion ready for a siesta in company of two other lioness (not in picture). asiatic lions have a smaller / lighter mane compared to their african cousins!